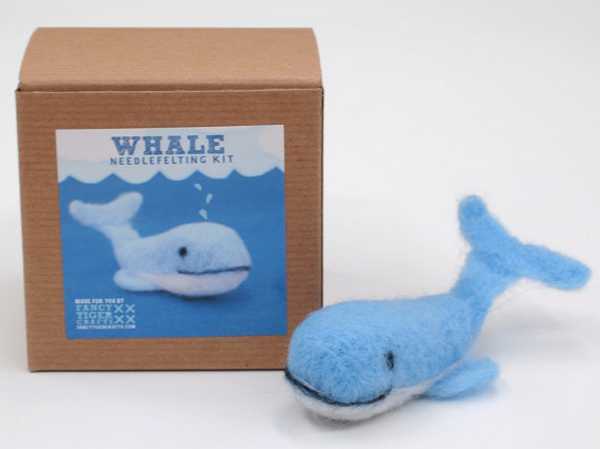 These sweet little kits will have you (or your kids) feeling like master crafters. The popularity of felting is at an all-time high, with some amazing decor items created from this lovely craft. I’ve had a look at a few felting video clips on YouTube and I’m in awe at the amount of work that goes into some items. These great kits are more my style – everything on hand, including instructions, so they’re reasonably fail-safe. 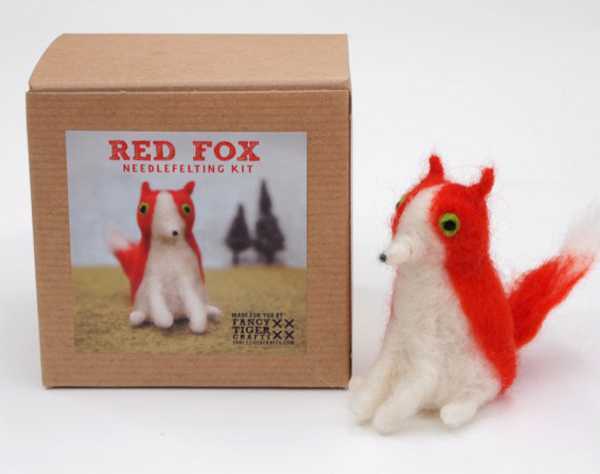 For those who are scratching their heads right now at the concept of needle felting – it’s sculpting and felting wool using a small, barbed needle. 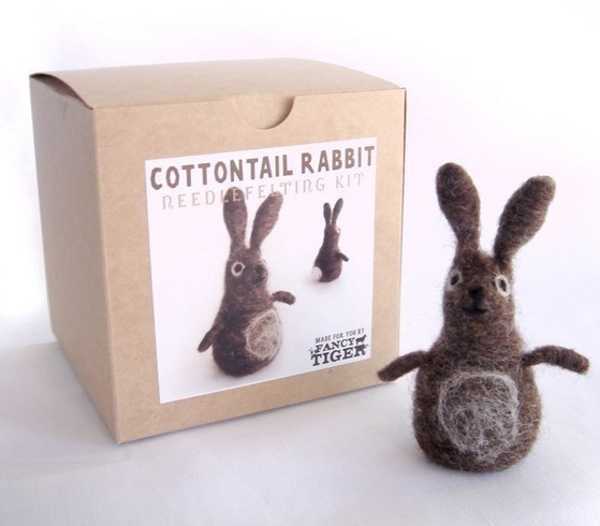 These kits from Colorado-based Fancy Tiger include everything you need to make a menagerie of critters. 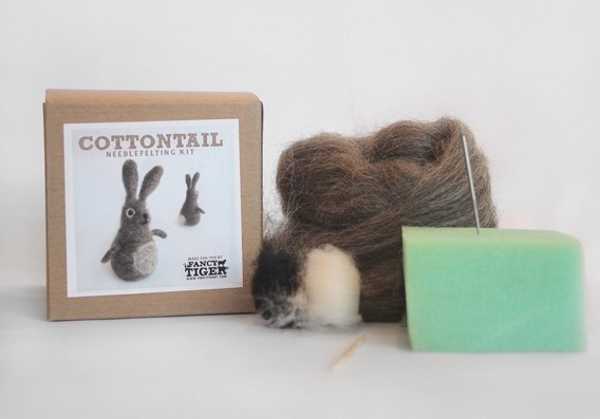 The Cottontail Rabbit is a real cutie, and the kit has enough material to make a pair. 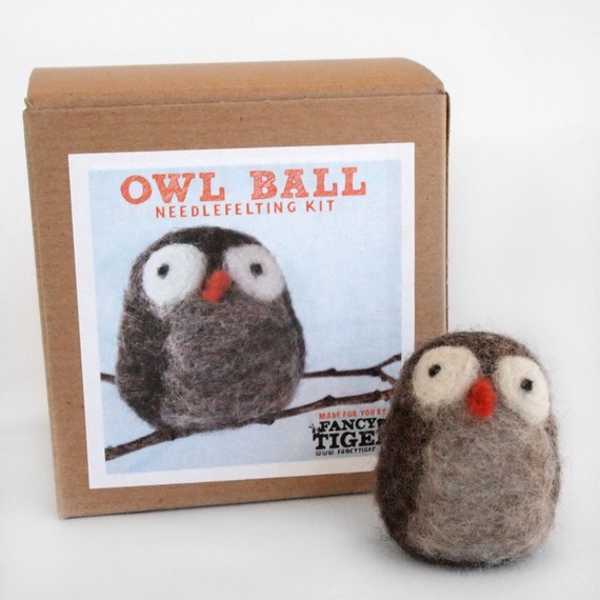 Other members of the Fancy Tiger felting family include the Owl, Red Fox and very adorable Turnip Darling. 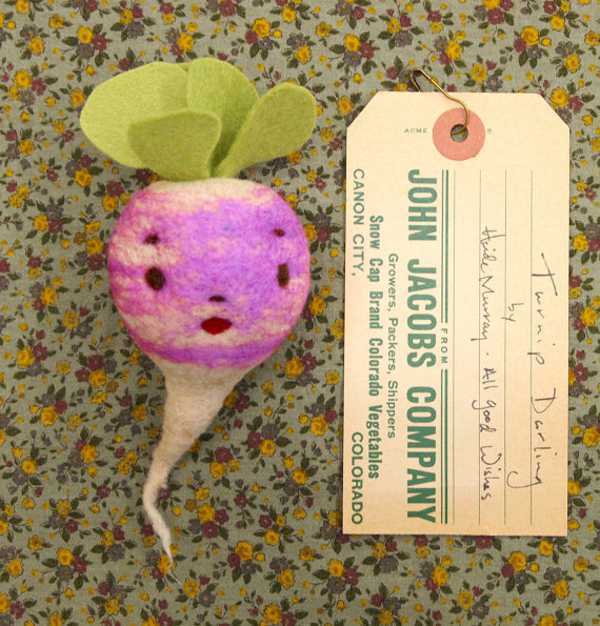 Make them together as a fun sewing project with your older kids or make them yourself as adorable decor for a nursery. Each of the kits costs US$15, plus postage to Australia.